Magnum revolvers have been made the stuff of legends by Hollywood, with the .357 magnum revolver holding a special place in the world of guns. In this article, we’ll explore the Ruger GP100 version of the .357 revolver, a rugged and powerful weapon with substantial stopping power given the caliber and force of the weapon. With a significant heft, strong caliber, and notorious size, the magnum revolver is a fine weapon that doubles as a highly effective doorstop, although we would not recommend using it as such. 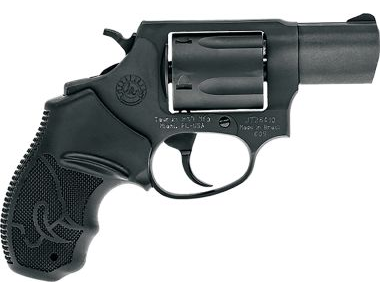 Following is a thorough presentation of all we need to know about the Ruger GP100, in addition to the fellow .357 magnums the Taurus 605SS2, Smith & Wesson Model 60, and the Ruger Redhawk. What Is the Ruger GP100? 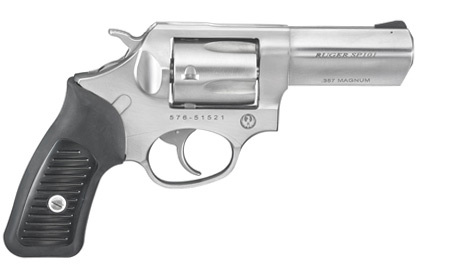 The Ruger GP100 is the .357 magnum offering by notorious gun producer Ruger. Sturm, Ruger & Co. Inc. is one of America’s leading manufacturers of firearms, known for their reliable, high quality, and award-winning products. The brand according to Ruger.com presents us with “a rugged, reliable firearm to meet every shooter’s needs.” With a responsible corporate charter and high-quality firearms, we can be confident in our purchase of the Ruger GP100. 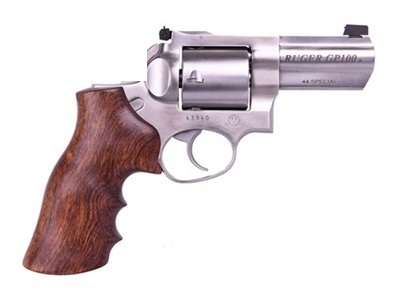 Within the context of safety, the Ruger GP100 does not have a manual safety. The firearm does, however, have a transfer bar safety system that stops the hammer from striking the firing pin without us first pulling the trigger all the way to the rear. A key benefit of this feature is the fact that the gun will not go off if it is dropped. This is a benefit we can surely appreciate, as the gun is heavy, and while it’s unlikely, it’s good to know a drop won’t mean a stray bullet. A feature of the Ruger GP100 that makes the gun particularly unique is its beginner-friendly design. While disassembling the gun and performing care is often one of the many benefits of gun ownership that owners take joy in, some individuals don’t feel comfortable taking their weapons apart. This is understandable, as if we aren’t certain how to reassemble the firearm, it may not be the best decision to take it apart. One of the features of this gun for such individuals is the fact that with a few, well-placed drops of lubricant in the frame and ongoing cleaning, the maintenance on this gun is largely complete. The Ruger GP100 at first glance is large and heavy. The weight is not so substantial that you’ll have a difficult time leveling it at your target, although it is significant enough for it to be clear you are wielding a hefty chunk of steel. While the GP100 is heavy, it has much less recoil than we’d expect given the size of the caliber. When shooting .38 specials, we’d expect a pretty radical kick-back, but they feel more like .22s. However, when firing .357 rounds, the GP100 has a recoil can't be felt, but that’s what we’re going for, stopping power. In terms of recoil, the GP100 can vary depending upon the munitions we’re using. Whichever we choose, the gun is a fine tool to build our firing ability at the firing range. Your fellow club members will be interested to see what’s making all that racket, and then which manufacturer you’ve chosen. Keep reading for more information on the GP100, and some of its main competitors in the magnum realm. There are a number of GP100 models from which to choose, with varying price levels. For the basic model in black steel with a composite grip in dark grey, the price is around more than average. A 7-round version has been produced at high price. 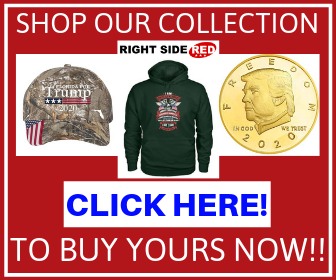 There are a variety of additional models priced at alot more than average with varying looks, designs, and handle materials, in addition to higher-priced custom models with unique handle materials that are exclusive to particular distributors the prices of which must be independently sought out. Ruger has grown notorious in gun forums for their willingness to repair or replace any defects in the firearms insofar as abuse is not evident, with this covering the GP100 as well. We picked a couple .357 magnums made by other manufacturers to see how they compare to the GP100. The price of the basic 6- or 7-round models of the Ruger GP100 are more than , although many unique variants exist for higher prices, which are listed on the Ruger site and you may inquire if interested in having unique wood or a more classic design, such as one resembling the 1970s magnum used by Hollywood icon Dirty Harry, played by Clint Eastwood. For training purposes, the .38 Special rounds, cheaper and with lesser recoil, can be capitalized upon to get familiar with the gun, and when you’re ready for some recoil and stopping power, load in the .357 rounds. Cleaning and upkeep is not particularly complicated, with simply oiling and cleaning sufficient to keep the gun up. Loading is simple with the speed-loading system, and refills can be kept pre-loaded and ready to drop in after the expended shells are dropped. The Ruger GP100 comes with what is a somewhat lackluster case in comparison to those provided by other manufacturers. It is made of plastic, which is disappointing given the heavy steel body of the gun. One would expect a small metal briefcase in which Hollywood would stuff a million dollars or a glimmering firearm like the Ruger GP100. The design quality of the GP100is consistent with the industry norms for a gun of this size, with the full-length barrel being particularly appealing compared to the light-weight and compact alternatives. The Ruger GP100 can handle both .38 Special rounds as well as .357 rounds. As noted above, the former handles almost like a .22 with the weight of the gun, but for the notorious .357 rounds, the kick-back is a natural byproduct. In terms of upgrades, the only element that can really be swapped out if the sight and grips. Springs can also be swapped out to make the trigger easier, although beyond that few things can be done, such as magazine extensions, as we’re working with a classic 6-shooter here. The Taurus has a variety of models, with this particular model firing .357 rounds, with a double-action/single-action character. It has fixed front and rear sights, and a matte stainless steel finish with hard-rubber grips and a 2-inch barrel. The gun weighs in at under 2 pounds and thus is an ideal choice for everyday, all-day carry. One element that sets the Taurus apart is the company’s unlimited lifetime repair policy, a warranty that lasts the lifetime of the gun, not just the buyer. It is a one-of-a-kind warranty beyond what most manufacturer’s offers. The price of the Taurus .357 is highly competitive at around a bit more than average. At that rate, the other characteristics of the gun, while at times less appealing, are entirely worthwhile. Being a classic style 6-shooter, but with a 5-round chamber instead, the loading and unloading of the gun is particularly simple. 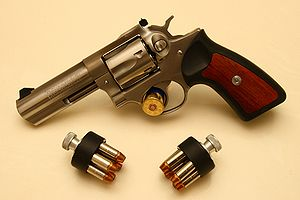 It takes .38 special rounds for the base model, with the higher level models also holding 5 rounds, but of .357 caliber. The sights of the gun are fixed. The accessories that accompany the gun are not advertised, so expect it to have a basic case, whether traditional metal or plastic. The gun is entirely dark, with a black composite handle and black steel. This model of the Taurus small-frame revolver holds .357 rounds and .38 specials. The Smith and Wesson Model 60 is the first stainless steel revolver made in the United States, introduced in 1965. It is one of the manufacturer’s small revolvers designed in 1950 to fire full power rounds while maintaining a simple and compact design. Due to its characteristics, according to Smith & Wesson, the J-Frame is the most popular, small-frame defense revolver on the market today. This is a popular gun for both law enforcement and sports shooters alike. Smith and Wesson presents a lifetime service policy, repairing the gun for the life of the purchaser. The manufacturer’s suggested retail price for the Model 60 is just over average price. The gun has a simplistic design that has greater recoil control and proven performance. The gun has a stainless steel frame, barrel, and cylinder, with a 2.125-inch barrel. The hammer is exposed, it has a blade front and a fixed rear sight, and is rated for continuous +P use. The accessories included with the Model 60 are not advertised, although the gun’s Special +P characteristic may as well a shiny accessory as it adds to the functionality of your weapon. As the first and most iconic stainless-steel compact .357 firing a handgun, the design is notorious and of exceptional quality. The gun fires .357 rounds in addition to 38 S&W specials. 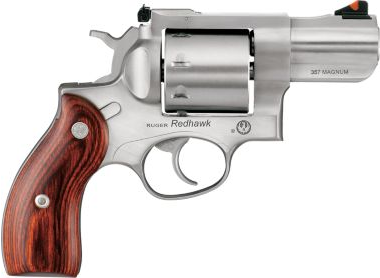 The Ruger Redhawk is a short-barreled handgun that fires .357 rounds in addition to .38 S&W special rounds. The grip is highly unique and is made of hardwood, adding a stylish flair to the pistol. The price of the Redhawk is higher, although the wooden handle sets it apart from the other offerings in the market. The compact pistol is simple to reload and easy to fire with its double-action design made specifically to handle powerful magnum charges. The gun has a unique single-spring mechanism for a relatively light trigger pull. The front sight and adjustable rear sight are replaceable, which many of the firearms like it do not offer. The handle is in, and of itself, a fine accessory, with the ability to replace the sights adding an additional layer of customizable fun that the other models reviewed do not possess. To handle the high-powered .357 ammunition this gun takes, extra metal has been placed in the top strap, sidewalls, and barrel mounting areas. This reduces recoil, improving upon our control of the firearm and our ability to control our aim. The Ruger GP100 is a fine example of a .357 revolver, holding 6 or 7 rounds, with the ability to fire .357 rounds with strong stopping power or .38 specials for practice. If we’re on the market for a more stylish alternative, the Ruger Redhawk has wooden handle options that add a flair of style, with the Smith & Wesson Model 60’s iconic stainless steel body also having its appeal. What matters is what kind of weapon we’re going for, whether compact and lightweight or full-length barreled and heavy steel. The .357 magnum is a strong choice in terms of our weapon. 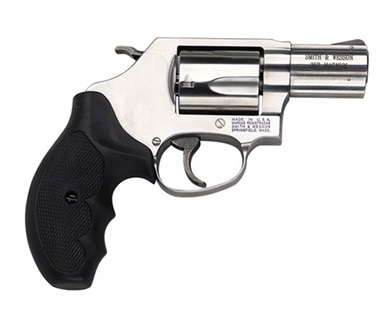 If we require enough stopping power to put down an assailant, or even a relatively large beast, the .357 Ruger GP100 is a proper choice in firearms. Ruger is a notorious manufacturer, and if a rugged .357 magnum is on your list, the GP100 is a fine choice. The lacking manual safety is made up for by a strong pull, which can be replaced by the more experienced shooter. 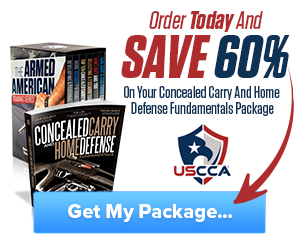 For more information on firearms, gun maintenance, reviews, and the 2nd Amendment check back to The Gun Rights. We believe in the 2nd Amendment, and also responsible gun ownership, and provide you the tools and resources to keep up to date on related developments.